The Imperx SDI C1920 camera is a small profile, ruggedized, progressive scan digital camera with selectable 1080p resolution in 3G-SDI or HD-SDI up to 60 fps. 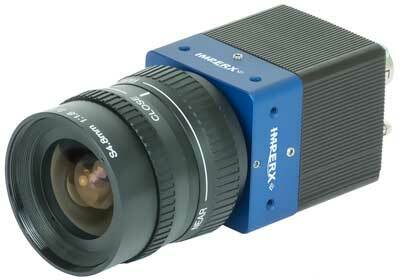 The camera is fully programmable and field upgradeable. The C1920 is SMPTE 292 and 296 compliant and includes easy-to-use configuration software. The camera has excellent sensitivity and amazing dynamic range. The camera supports tri-level sync input, strobe output, automatic exposure and automatic gain control with multiple LUTs. The camera uses a Sony Pregius IMX-174 image sensor and industrial grade components to provide exceptional video image quality with high sensitivity in a wide range of environments and conditions.